"He could be much more confident with his skills. That's his only little problem, if you want – that he doesn't know how good he actually is." In late December, Jürgen Klopp took the unusual step of publicly criticising one of his own players by describing Ragnar Klavan in such terms during an interview for this website. It had been just under 18 months since the Estonian became something of a surprise fifth signing of the 2016 summer transfer window for Liverpool, realising a lifelong dream of following his compatriot Mart Poom to the Premier League in the process. That the manager’s sole gripe since then regarded little more than a bit of self-belief spoke volumes for the defender’s performances across his time on Merseyside, and his value as a dressing room asset. 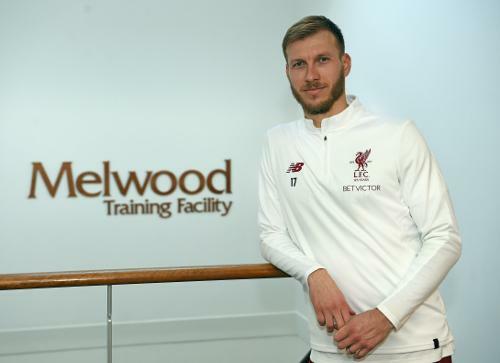 But, having had to wait until the age of 30 to achieve his biggest ambition, does Klavan accept there might have been value in, as his current boss stated, adopting a more self-assured outlook? And would that have taken him to the promised land even quicker? When this idea is put to him at the start of a wide-ranging interview with Liverpoolfc.com at the club’s Melwood training base, the 32-year-old unexpectedly reveals it is a quandary he has often pondered. And, true to the unassuming, considered character he conveys over the course of a half-hour sit-down, Klavan dissects the notion by underlining his most valuable trait: being true to himself. 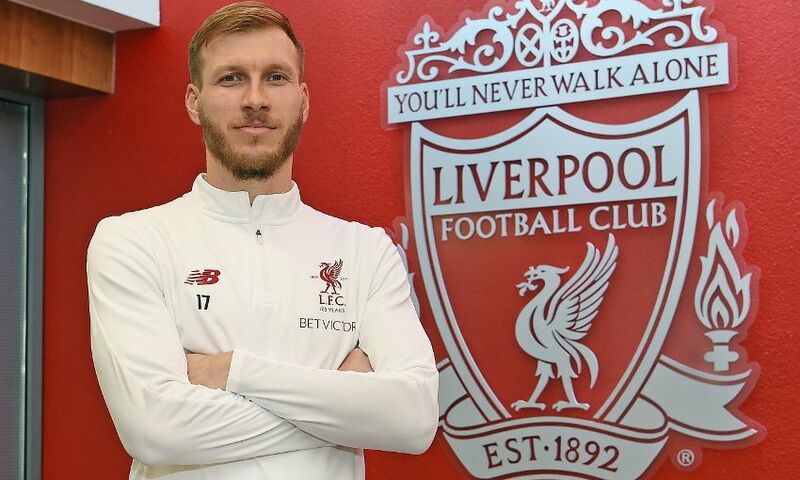 He says: “I’ve been thinking about it a lot… but I think it wouldn’t be Ragnar Klavan anymore. “I’ve always kind of struggled with myself, being maybe too shy. “It has its plusses and minuses, as with everything; this is maybe why I’m so calm always in games. “When I was younger, people and coaches told me, ‘You have to be this and that’. I kind of never changed and kept on doing what I was doing and that’s who I am, it’s me. Sheer coincidence decreed that Klavan’s long-awaited first taste of football on these shores came at Anfield just months before his unforeseen move to the Reds. The centre-back had enjoyed a rewarding career featuring title wins in Estonia, Norway and the Netherlands, as well as over 100 international caps prior to running out for Augsburg in that 1-0 Europa League last-32 second-leg defeat. As such, he could have been forgiven for believing that evening on Merseyside was a reasonable consolation for what appeared to be shrinking hopes of ever making a move to England. Of course, that is just not his style. He explains: “I’m the kind of person who thinks that it’s never too late. I was kind of a late bloomer as well so this was my dream, my aim, and I was working for it every day. “I got the move when I was 30 years old but it [wasn’t like] when I was 28 or 29 I did less work and was thinking, ‘OK, I do less now, maybe I won’t make it to England’. “I always believed in myself and the chance that I had. When I retired, I wanted to look back and know that was it, I gave my everything, I’m fine with it either way. As a player who did not miss a single minute of Augsburg’s 2014-15 campaign, Klavan faced a new challenge coming to a club where playing time would be more evenly shared out amongst a deeper squad. But his natural humility and strong belief in collective goals coming above self-interest made adapting to this new status quo much easier than it might have been for others. He articulates this facet of his personality, saying: “It’s never, for me, that I only feel good when I’m first choice or whatever. “For me, if I sign for a club then I do it for the club, whatever is needed, you always have different situations. “It is different, this is a big club, nobody – first of all, because of how intense the Premier League is; second of all because of Europe and cup games – plays all the games. “That’s why you need a bigger squad to fill all the positions and everywhere you need to have quality. For me, it’s always been what’s best for the team. Klavan believes his approach to football - and indeed life - owes much to his upbringing by mother Tiina and a father whose own professional career also peaked late with a maiden Estonia call-up at the age of 31. Dzintar Klavan represented both Tulevik and Flora years before his son did the same but never got the same chance to make his name at one of Europe’s biggest clubs. Perhaps it is for that reason that the sheer scale of LFC as an institution only became apparent to Ragnar months after his move – and in unusual circumstances. He enthuses: “I still can’t believe how big it is. “First of all, I was amazed by Melwood, the staff here and everything; then we had the pre-season tour in America, [seeing] the fanbase and everything. Clearly, Klavan is loving every minute of life at Liverpool, but he admits he ‘hasn’t really thought’ about how much longer he will remain with the club - or as a player at all. For now, all this self-described family man knows is that, once he hangs up his boots, he will return to his homeland alongside his children and wife with designs on eventually coaching young players. But has he ever considered whether the hopefuls he is keen to nurture might hold him in the same high regard he did Estonian legend Poom? True to form, he has not. He says: “Being myself in that situation it’s hard to see it the other way around. I know that I play for Liverpool, this is a really big thing, but I see myself as just a normal guy. “But the other way round, when I think about Mart Poom, that was a really big thing for me! “In some kind of way, I hope that me playing here for Liverpool in the Premier League gives extra motivation for the young Estonian players to keep on going and believing that those things are possible.